Stratos Jets helps you arrange private jet charters to Cape Town with as little as four hours’ notice. Private aviation is the best way to make the most of your time. Skip the layovers and flight delays, and enjoy the comfort and convenience of a charter flight in the privacy of your own cabin. Have your choice of satellite radio channels, movies, gourmet catering, additional cargo space, and more. Our aviation experts are available at all hours of the day to assist you when booking your private jet charters to Cape Town. Our agents aim to provide you with multiple booking options and the most competitive jet charter rates available. At Stratos Jets, we pride ourselves on our safety standards. We guarantee that the credentials of every carrier quoted will be verified. Through our in-house due-diligence program, we screen all aircraft and personnel to secure the safest options for your flight. We’ll also conduct a third-party safety audit on all aircraft and aircraft operators to make sure your safety remains our highest priority. Fly at ease knowing that two experienced pilots will crew your private jet charters to Cape Town. Each pilot is also required to participate in ongoing training through an FAA-approved program. In addition, we also require all charter operators to hold either Part 135 certification for private charters to Cape Town, or Part 121/380 certification for group charters to South Africa. Instead of simply booking private jet charters to Cape Town, our team at Stratos Jets goes well beyond this with our Trip Support department. Dedicated to managing every detail of your trip, we ensure you enjoy smooth, worry-free travels and the height of service on every leg of your journey. Cape Town International Airport (FACT) is located approximately 12 miles from the city center. 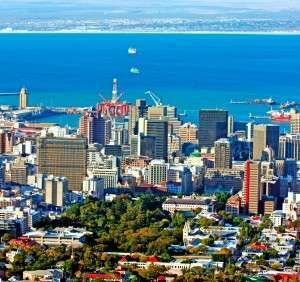 Dubbed ‘the second busiest airport in South Africa,’ this destination is the perfect hub for accessing Cape Town. Hiking: If you’re an avid hiker, follow a guide to the top of Table Mountain and take in the stunning views of Cape Town. Sunbathing: Clifton Beach and Boulders Beach offer a more laid back approach to experiencing Cape Town, with world-class white sandy beaches and peaceful ocean breezes. Exploring: The Kirstenbosch National Botanical Gardens are located at the foot of Table Mountain. These beautiful grounds can give you an inside peak at Cape Town’s native plant and animal species. If you’d like to take a more cultural approach to exploring Cape Town, the District Six Museum offers cultural exhibits, photographs, and memorials. 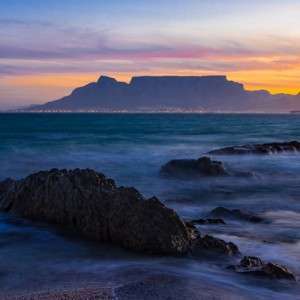 You can also take in the Cape Town diamond museum and Two Oceans Aquarium. Ellerman House Cape Town boasts unrivaled views of the city, the two oceans, and surrounding landscape. This luxury villa offers guests world-class amenities and privacy, and prides itself on its refinement and exceptional service. Table Bay at the Waterfront is another must-visit hotel in Cape Town. Located on the bustling Victoria and Alfred Waterfront, this property is stylish yet comfortable, and offers guests all of the necessary amenities, from fine dining to an onsite spa.